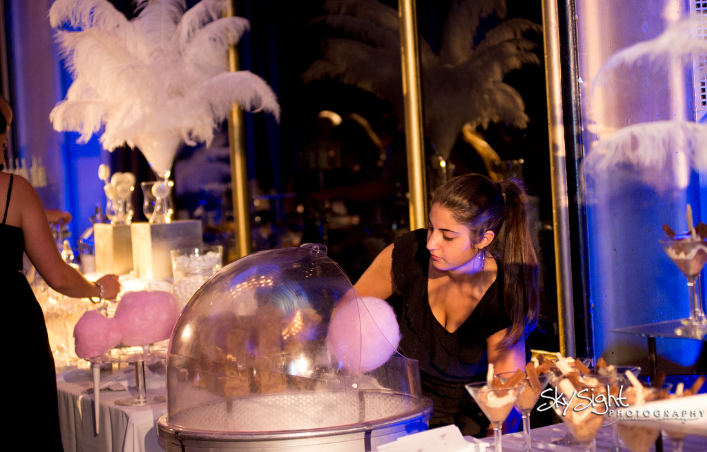 Bring the nostalgia of a carnival to your event with a sweet cotton candy cart! Provide your guests with a fun opportunity to choose from a multitude of delicious flavors, like blue raspberry, green apple, and lemon. The cotton candy is handspun in front of your guests by one of our sugar sweet fairies. Our cotton candy cart is a great way to entertain your guests and make your event even more delightful! Want to “wow” your guests even more? Add a glow wand to each cotton candy!